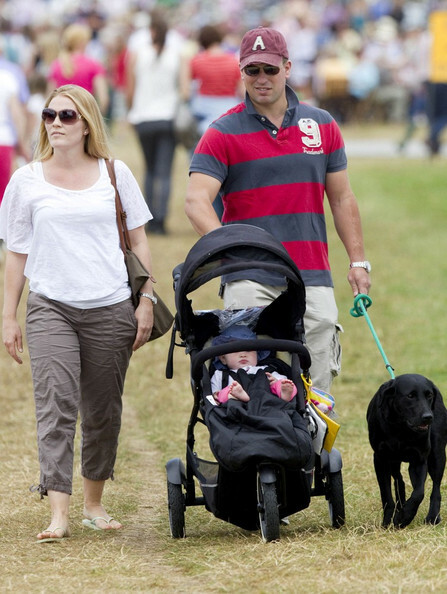 Peter and Autumn Phillips enjoy day one of the Festival of British Eventing at Gatcombe Park with their daughter Savannah (b. December 29, 2010). Autumn Phillips looked stylish in brown round frame sunglasses at Gatcombe Park. Autumn Phillips wore comfy Capri pants to Gatcombe Park. Autumn Phillips looked fresh in a clean white T-shirt at Gatcombe Park.